Alert your deal owner when a deal has not closed by your anticipated close date. This allows the deal owner to then either double down their efforts to win the deal, denote a cold lead, or mark the deal as lost. A tag is then added that the deal exceeded the forecast so that the expected close time can be realistically adjusted. 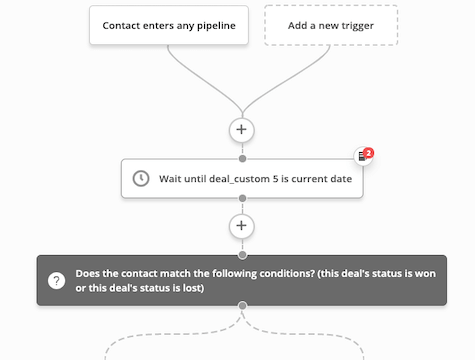 Before importing this recipe, build the following: A date-based deal custom field for expected close date.